by Tim Shapiro. Center for Congregations, 2015. Accessed November 21, 2018. Faith communities that effectively meet new challenges and opportunities have some behaviors in common. In this essay, a veteran pastor and president of the Indianapolis Center for Congregations discusses eight behaviors of congregations that learn well. He draws from the Center’s fifteen years’ experience helping congregations find and use resources. For example, Shapiro observes that learning congregations find and use outside resources that add perspective and information to what the congregation already knows. 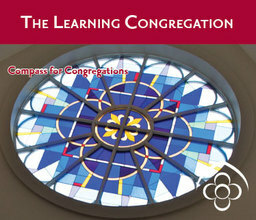 Learning congregations ask open-ended questions and practice active listening to gain wisdom and understanding. Clergy and laity engage in shared learning experiences rather than go their separate ways. And learning congregations are able to set priorities and act accordingly. The eight behaviors described here may not come naturally, but they can be adopted over time. Indeed, congregations can learn how to learn. This article can serve as a starting point for leader discussion and small group study.